The 22nd annual Semi-Marathon de Nice takes place this coming April, with the prospect of another record breaking event on the cards. If, like me, you ventured out of your Riviera-based home on December 26th to witness the entertaining maelstrom of retail chaos that is the Winter Sales, you will have been disheartened to see the streets empty, the French happily tucked away in their homes safe in the knowledge that the annual commercial bonanza would not start for another fortnight. But fear not, your opportunity to see the boulevards of Nice teeming with sweaty men and women struggling through a tortuous ordeal, some desperately attempting to claw past their rivals, some merely being swept along by the crowd, praying they can reach the end before their bodies give in to exhaustion, is here! 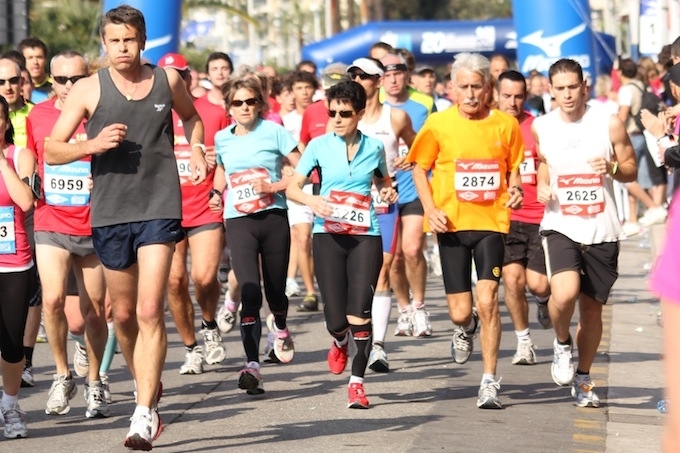 On Sunday 21st April, the Promenade des Anglais will play host to the 22nd Annual Nice Semi Marathon, 21.1km of sun, sea, and gruelling physical exertion which is sure to attract thousands, participants and spectators alike. 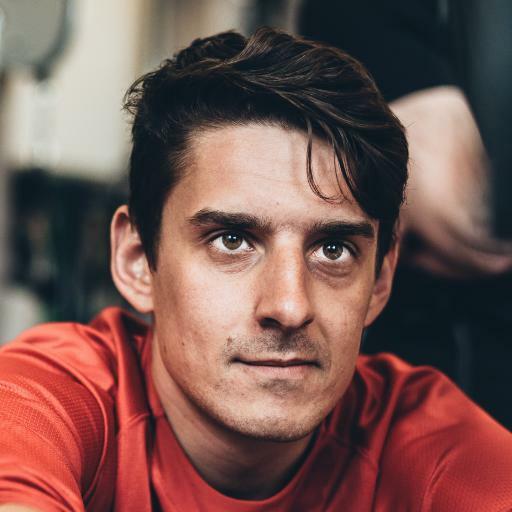 Last year the winning time of 59 minutes 57 seconds broke the hour barrier for the first time, and was just 94 seconds short of the Half Marathon world record. The 21.1km route snakes past a range of Nice’s most beautiful attractions, starting on the Promenade des Anglais at the Jardin Albert 1er, before passing the glorious pink dome of the Negresco, visiting the Gare SNCF, the Port and traversing the length of the Promenade to the airport, before doubling back to the finish line at the Quai des États Unis, conveniently located for a refreshing post-race dip in the Mediterranean. Registration is open until 12th April, so whether you feel you can shave a few seconds off last year’s record time, or would just like to spend a Sunday morning dashing past some of the city’s top attractions, don’t hesitate to sign up and join the eight thousand plus other participants who are expected to take part in one of the Riviera’s biggest sporting occasions. If you are tempted to get involved but the full Semi Marathon seems too much for you, there are a variety of other events, including 10km, the 5km ‘La Niçoise‘, and 2km races. However, if all of those options still sound a little too taxing, or if the 2km course sounds like a reasonable distance but participating in an event named “Petit Champions” along with a host of 9-16 year olds would damage your pride, or if you simply could think of better ways to spend just under an hour of your time, perhaps a visit to the Mizuno Running Expo Village is for you. The Village, situated in Place Pierre Gautier, is a hub of all things running-related, ranging from the latest in sports supplies to expert advice, and is sure to be of interest to anyone who enjoys running, professional or amateur. The Village is open all weekend before the race and is expecting up to 30,000 visitors to its 30 stalls. So whether you’re keen to put your body to the test on one of the world’s most picturesque distance running courses, or simply want to cheer along those who are, come down to the Promenade des Anglais to experience the excitement of the Nice Semi Marathon, which is set for another record breaking year.